Dubai, UAE, 13 March 2019: Special Olympics World Games Abu Dhabi 2019 is leading by example by promoting inclusion within its workforce. Diversity and inclusion are at the heart of the Local Organizing Committee and setting the stage for this year’s World Games are more than 300 employees from a variety of different backgrounds. With less than 2 days remaining until the UAE stages the most unified World Games in the 50-year history of the Special Olympics movement, the LOC are helping to ensure the event not only exceeds expectations but also creates a legacy of positive social change for People of Determination in the UAE and across the world. Based at the Abu Dhabi headquarters, the LOC’s team of employees consists of 305 people representing 45 nationalities. This includes 12 People of Determination who are working in various roles within the organization including finance, IT, media & marketing, and international affairs. Recruiting People of Determination as part of the team signifies the values and principles at the heart of the Special Olympics movement. The LOC is committed to empowering people with intellectual disabilities and creating a society that allows them to thrive in employment, education and everyday life. Hendrik Steyn and Ahmed Al Quabaisi have been working in the IT department and commented on being part of the team. 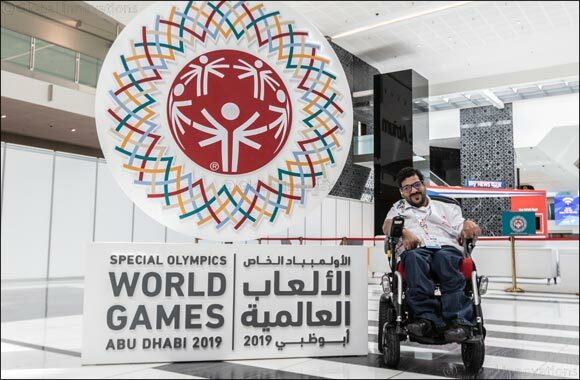 Hendrik said: “I have really enjoyed working at the Local Organizing Committee of Special Olympics World Games Abu Dhabi 2019. I’m very grateful for them in giving me this opportunity to work with a diverse group of people for the biggest event to take place in the UAE. Ahmed said: “For me, it is a dream come true to work on the Special Olympics World Games Abu Dhabi especially in IT which I love. I have always wanted to be an IT engineer and am extremely thankful to the Local Organizing Committee for giving me my first IT job. Making up more than half of the LOC’s staff (54 per cent) is female and several key female figures are playing an integral role in driving the Special Olympics movement forward. Thirty per cent of staff is Emirati; further emphasizing that UAE nationals are fully behind the World Games and its values of inclusion and tolerance. Private organizations and government entities have also been supportive of the movement, with 25 per cent of the workforce on secondment to the LOC from other organizations. Special Olympics World Games Abu Dhabi 2019, which will be held between 14-21 March, will be the largest sports and humanitarian event of the year and will see over 7,500 athletes from more than 190 nations participate in 24 Olympic-style sports.